Invitation to the Dance is a piece I have loved since discovering it years ago, especially when performed by an orchestra. I love dance as a joyful expression and as a metaphor for relationships. I think dance is also an apt metaphor in business, since business happens in the context of living and at Zenith Cleaners, we appreciate the freedom to provide our service, even cleaning, as whole human beings, rather than just as cleaners. We clean places where people live, work, play and worship. We are not necessarily performing a service for an audience. We are engaged in a dance with clients, with staff, with suppliers. For us to be truly effective with all parties, we need to be engaged in a two-way relationship. I love the quote from the Australian Aboriginal woman that says, “If you are coming to help me, you are wasting your time. But if you are coming because your liberation is bound up with mine, then let us work together.” I think this applies to all the relationships we are involved in. It is a dance. Our client relationships cannot thrive if one party thinks they are performing for another or being served by another or if all of the responsibility for a great service rests on the service provider. There needs to be continuous, honest and appreciative two-way feedback just like in a dance, and all the client relationships we cherish are like this. The clients consider the cleanliness of their space so important as to participate and let us know when things are going well or not going well, so that just like a dance, we can celebrate, improve or adjust. We also love the freedom to let our clients know when things are going well or not. We think celebration is as important as correction and both need to happen, as in a dance. We love to invite clients who want to dance with us. Dancing keeps us on our toes for much longer but when we perform while our clients are seated, we get tired much quicker because there is no constructive feedback. We love clients who consider us worthy of being danced with. 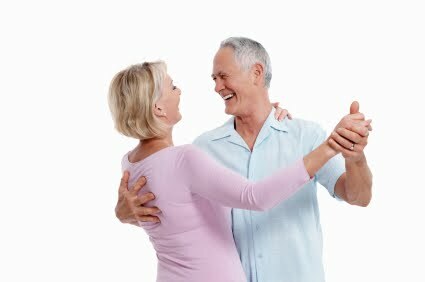 Even without binding contracts, our clients stay longer with us because of the joyfulness and partnership of the dance. Those who leave are also very free to do so when they need to. Our liberation is bound up together and their interest becomes ours and vice versa. When they need to leave, we joyfully help them leave. We love it when staff are neither coming to work for us nor coming to be served. We want people who want to dance. Life is just more exciting when we dance together and while we are together, life happens, and we want to dance. In the dance, the success of the relationship depends on both parties not just on one party. In the dance, the narrative shifts from “you” and “I” to “us” and “we”. A good dance involves shared joy, shared sorrow if necessary, honesty, spirit, soul and body participation and mutual trust. There is honesty and humility to know when we are not the right partners and to act accordingly because it is in the best interest of “us”. The suppliers we love are in a dance with us. They are empathetic with us as we are with them. We are engaged with each other to nourish our relationship and not to act solely in the interest of “us” at the expense of “them”. This obviously goes against business as usual. When we are true dance partners, we can remain partners for a very long time and there is freedom to go our separate ways when it is in the best interest of “us”. Staff, clients, suppliers, you are invited. If you like to dance.